This article is about the British ice hockey league. For ice hockey elite leagues, see List of ice hockey leagues. Not to be confused with Elite League (disambiguation) or Super Hockey League. The Elite Ice Hockey League (EIHL) is an ice hockey league in the United Kingdom. Formed in 2003 following the demise of the Ice Hockey Superleague, it is the highest level of ice hockey competition in the United Kingdom. The league currently consists of eleven teams, with representation from all four nations of the United Kingdom – the only league in any sport to do so. In fourteen completed seasons the league has been won by five different teams. The day-to-day operation of the league is overseen by chairman Tony Smith, Director of Hockey Andy French, and a board of directors. Disciplinary matters are handled by Director of Discipline and former referee Simon Kirkham. The level below the Elite League is the National Ice Hockey League. A system of promotion and relegation is not operated by the Elite League; teams enter the league on the basis of a decision by the board of directors. British ice hockey's structure underwent major reorganisation in 1996. The British Hockey League (the highest senior competition since 1982, featuring the top two divisions of the sport) was disbanded and replaced by the Ice Hockey Superleague (top tier) and British National League (second tier). The loss of the Cardiff Devils and the Newcastle Jesters in 2001 reduced the membership of the Superleague to seven; and when the Manchester Storm and the Scottish Eagles folded within a week of one another at the beginning of the 2002–03 season, there were just five remaining teams. In December 2002, the Bracknell Bees announced their intention to resign from the league to join the BNL at the end of the season; and uncertainty surrounded the future of the London Knights and their London Arena home; which ultimately led to the Knights folding in 2003. Owing a large debt to Ice Hockey UK and facing the prospect of having only three members, the league placed itself into liquidation on 30 April 2003. The three remaining clubs (Belfast Giants, Nottingham Panthers, and Sheffield Steelers) began considering the formation of a new league with a lower wage cap and larger commitment to British players to attract other clubs into joining them. In the weeks that followed they were joined by Basingstoke Bison, Cardiff Devils, and Coventry Blaze of the British National League and two new organisations from London and Manchester. A team based in Glasgow was also planned, but did not come to fruition. The new league met considerable opposition from the British National League and the governing body Ice Hockey UK. IHUK wished the remaining Superleague clubs to integrate themselves into the BNL and initially refused to grant the new league affiliation. The Superleague clubs were reluctant to join the predominantly British trained league after several years of playing in an import-dominated league where British players were seldom able to step up to the standard of their North American and European counterparts. The Elite League instead preferred a twelve import limit with the rest of the team comprising British-trained players. The refusal to grant affiliation caused a bitter row to ensue that showed little sign of being resolved. Despite not having the support of the governing body, the new league continued their plans regardless. No affiliation would have meant that the clubs would have problems attaining work permits for their signings and finding officials to referee their matches. The row also threatened the future of the Nottingham Panthers, as the National Ice Centre were reluctant to allow a team from an unaffiliated league hire their arena. The issue was resolved in August 2003 when the Panthers and the NIC announced an icetime agreement. The EIHL finally agreed affiliation in August 2003, with only weeks to go before the beginning of the new season. The new league began on 12 September 2003 when Sheffield Steelers, who went on to become the inaugural league champions, defeated the newly formed London Racers 6–1 at Alexandra Palace. The Racers endured a difficult first season, moving to a different rink only weeks into the season and having to wait 40 games to record a win, a 3–0 victory over Cardiff Devils. The Racers finished the season with 10 points, 38 points behind second bottom Basingstoke. The other new team, Manchester Phoenix fared slightly better, qualifying for the playoff finals after finishing sixth in the league, where they were defeated 6–1 by Nottingham in the semi final. The club played at the 17,500 capacity MEN Arena which had been home to Manchester Storm, but Phoenix crowds averaged 2,250, well below the break-even mark of 3,000. Late in the season, Phoenix choose to play a game at IceSheffield rather than pay the considerable cost of hiring the arena for a mid-week game (which usually had lower attendances). In the close season they allowed fans to vote on the option of either suspending playing operations while a new rink was constructed or playing in exile away from Manchester while a new rink was built. Supporters opted to suspend playing operations pending the construction of a new facility. The second season of the EIHL saw a series of games between the EIHL clubs and the members of the BNL. In addition to three home games and three away games against their Elite opponents, each club also played one home game and one away game against the BNL clubs in crossover match-ups. Results in these crossover games would count towards a team's points tally. The NHL lock-out also saw a number of NHL players join British clubs. Coventry won a Grand Slam of all three titles, winning the Championship with an overtime victory over the Nottingham Panthers. The crossover games with the BNL clubs were seen by many to be the first stage towards the amalgamation of the two organisations into one league; essentially reforming the original BHL. However, early in the season it was revealed that two teams from the BNL, Edinburgh Capitals and Newcastle Vipers, were seeking to resign from the BNL and join the EIHL; preferring the standard of hockey that the EIHL had to offer. A withdrawal of these clubs would leave the BNL with only five remaining participating teams. This situation led to the resigning teams temporarily withdrawing their Elite League applications and entering into collective discussions on the entire BNL joining the EIHL instead. The Elite League offered the BNL clubs invitations to join the EIHL structure, which were declined by the remaining teams due to unfavourable terms. Subsequently, Capitals and Vipers both resubmitted individual applications to the Elite League; both of which were accepted. This ultimately led to the dissolution of the BNL, with the five remaining teams joining the next tier of British hockey (which consisted of the English Premier Ice Hockey League in England and Scottish National League in Scotland respectively). With Edinburgh Capitals and Newcastle Vipers becoming the ninth and tenth members of the league, the 2005–06 season began with nine clubs (Manchester had opted to take another season out with no rink yet constructed). However, in November 2005 London Racers withdrew their team from competition and immediately ceased operations. From their formation the Racers had suffered problems finding a rink with comparable facilities to those of their rivals and they had maintained only a very small fan base. The club had made the Lee Valley Ice Centre their home after playing only a small number of games at the Alexandra Palace in their first season. The facilities were very basic, seating only 900 people with an overall capacity of barely 1000. In November 2005, during a game against Nottingham Panthers; Panthers player Blaž Emeršič suffered a serious facial injury after colliding with a protruding object in the boardings. Further concerns were raised when a game against the Sheffield Steelers was abandoned after a piece of plexiglas shattered in an irregular manner, injuring a spectator. When a similar event took place during practice a few days later; the Racers management began to question seriously the safety of the rink. With the Ice Centre unable to ensure the safety of players and spectators at Elite League games, the Racers were forced to suspend team operations with immediate effect. In January 2006, Manchester Phoenix were granted planning permission to construct a new rink in Altrincham. A few weeks later Cardiff Devils also received planning permission for the construction of a new rink. The Wales National Ice Rink was earmarked for demolition and a campaign for the council to provide a new facility proved successful. With both clubs confirming their intent to take part the following season, speculation began about the possible inclusion of a tenth team to replace London Racers. 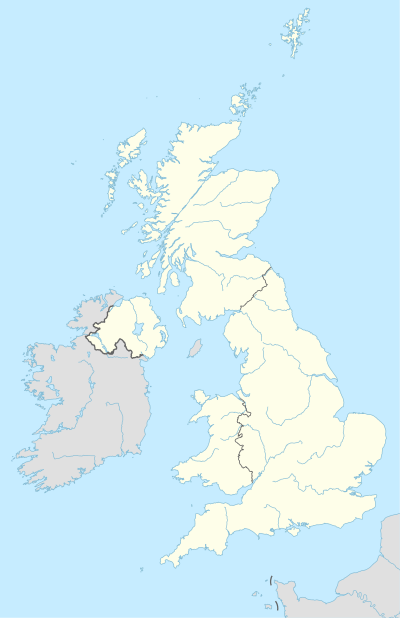 After the season was over, rumours about the possible admission of either Hull or Dundee became more and more widespread. On 22 June 2006, Hull Stingrays were formally elected into the Elite Ice Hockey League as the tenth active member. In June 2006 the EIHL announced the adoption of the 'zero tolerance' interpretation of the rules with regard to holding, hooking and interference implemented in the National Hockey League during the 2005–06 season. These rules had proved highly successful in the NHL, increasing the pace of the game and leading to a rise in spectator numbers. On 25 August 2006, the Elite League announced a sponsorship deal with the low cost airline bmibaby. The agreement saw the company's name incorporated into the league's title and the airline's branding at each of the league's ten arenas. The deal was intended to last for seven seasons, but ended prematurely during the 2008–09 season. On 30 April 2009, Manchester Phoenix announced that they would withdraw from the league, and play instead in the English Premier Ice Hockey League, due to cost issues. This news followed the announcement that Basingstoke Bison were also leaving to play in the EPL for the 2009–10 season. After losing two teams at the end of the 2008–09 season the Elite League was boosted by a new franchise joining the league. Braehead Clan were announced as the ninth team from the 2010–11 season. On 27 April 2010, Dundee Stars were unanimously accepted into the League by the EIHL board as the tenth team. Hull Stingrays withdrew from the League on 11 August 2010, announced via the club's official website, and later confirmed on the BBC's site. However, after a takeover from Coventry Blaze on 17 August 2010, the Hull Stingrays confirmed that they would indeed be participating in the League for the 2010–11 season. The Stingrays again withdrew on 24 June 2015, as the club announced on its official website that it has been placed into liquidation. From the 2013–14 season onwards, the league has consisted of two conferences; each consisting of five teams. These are the Erhardt Conference and the Gardiner Conference. These can roughly be split into north and south, with the Erhardt featuring the teams from Belfast, Cardiff, Coventry, Nottingham, and Sheffield; and the Gardiner featuring the teams from Dundee, Edinburgh, Fife, and Glasgow along with Hull Stingrays until 2015, and their replacements Manchester Storm from 2015 onwards. On the 27 April 2017 it was announced with Milton Keynes Lightning and Guildford Flames joining for the start of the 2017–18 season that the league will be upped to 56 games in the regular season with 3 new conferences of 4 teams. Conference 1 would consist of Braehead Clan, Dundee Stars, Edinburgh Capitals and Fife Flyers known as the Scottish conference. Conference 2 would consist of Coventry Blaze, Guildford Flames, Manchester Storm and Milton Keynes Lightning known as the southern conference. Conference 3 would consist of Belfast Giants, Cardiff Devils, Nottingham Panthers and Sheffield Steelers known as the arena teams. This meant that teams would play teams in their own conference 8 times (4 home & 4 away) totalling 24 games and play other conferences teams 4 times (2 home & 2 away) totalling 32 games, giving the league a total of 56 games. Several competitions fall under the jurisdiction of the Elite League. Patton Conference: Coventry Blaze, Guildford Flames, Milton Keynes Lightning and Manchester Storm. Erhardt Conference: Belfast Giants, Cardiff Devils, Nottingham Panthers, and Sheffield Steelers. Teams play each other 6 times (3 x home, 3 x away), making for a 60-game regular season. Two points are awarded for a win and one for an overtime or penalty shootout defeat. Overtime consists of five minutes of three-on-three hockey and ends immediately if a goal is scored. The team that has most points at the end of the regular season is declared champion. The Playoffs are contested by the teams with the best regular season records. The winner is crowned the champion of the British Championship. The number of teams competing in the playoffs has varied. However, since the 2006–07 season, the top eight teams of the regular season have qualified for the quarter-finals, with their league position determining their seeding. All quarter-finals are two-legged ties. Both the semi-finals and the final take place over a single weekend in April at the National Ice Centre in Nottingham. The Challenge Cup has taken a number of different formats, ranging from a table formed from the results of designated league fixtures to groups of four teams playing on a round-robin basis at the beginning of the season. During some seasons, Elite League games have also been classed as Challenge Cup games and points counted for both. The semi finals and final are two-legged games, the winner being the team with the highest aggregate score at the end of the second game. Aberdeen Lynx (currently competing in the Scottish National League) have stated that their ambition is to establish an Elite League team in the city in the future. Nottingham Panthers and Glasgow Clan owner Neil Black is rumoured to be setting up a new EIHL franchise in London, playing out of the Wembley Arena. Black has also stated in the past that he would like to see franchises in Manchester (which has now been achieved) and Dublin. Wayne Scholes, owner of the Telford Tigers (currently in the English Premier League) has stated that his organisation doesn't have any immediate plans to make the step up, but has not ruled out the possibility of joining the EIHL in the future, saying that “We have had conversations with the Elite League before but they have to invite you. You can’t approach them. It is one of those things where they want to see that you have got two or three years of really good solid success. They want to see that it is sustainable and that you are up to a certain standard, and then they will reach out. At that point, it’s a discussion that we will have but right now we are pretty happy where we are." Elite League teams rely heavily on players from outside the United Kingdom (termed imports). The majority of these players are from North America, and typically played in the minor North American leagues such as the ECHL and AHL before coming to Britain. For example, of the 21 players to play for champions Belfast Giants in the 2005–06 season, 10 were Canadian, 8 were British and 3 were American. The league restricts the number of import players which can be dressed for a game, with a current limit of 14 imports. Player turnover is high, with a large proportion of players spending a single season at a team before moving on, and multi-year contracts are uncommon. As would be expected in a league dominated by North American players, the style of ice hockey in Britain is similar to that played in North America, and has a more physical style than that played in other, technically natured European countries. This was demonstrated during the 2004–05 NHL lock-out. Of the NHL players to join Elite League teams, the majority were players noted for physical strength rather than puck-handling skills, such as Wade Belak and Eric Cairns. While British players account for a minority of Elite League players, the league supplies the majority of players for the Great Britain team. All 22 players in the Great Britain squad for the 2018 World Championships played for Elite League teams in the preceding season. Ice hockey receives little national media coverage in the United Kingdom. Some national newspapers list results and provide short summaries of the league's news but more extensive coverage remains minimal. There was a small surge in interest during the 2004–05 season when newspapers such as The Times reported on the NHL players playing the Elite League as a result of the lock-out but since the lock-out ended, coverage has returned to its previous levels. In the 1980s and 1990s, Sky Sports and the BBC's Grandstand programme covered the British Hockey League and Superleague and their important games and competitions regularly. However, in 2001 the Superleague sold its broadcasting rights to 'Premium TV Ltd' who planned to set up a new sports channel, which never materialised. British ice hockey was left without coverage from any television network. This situation continued through the final seasons of the Superleague and into the first seasons of the Elite League. In 2005, Elite League officials concluded an agreement with the North American Sports Network to provide a weekly highlights and news programme. These usually provide highlights from a game recorded the previous weekend and are an hour in length. In September 2007 the Elite League announced a deal with Sky Sports for a weekly show of Elite League highlights. In 2010 Sky Sports showed the playoff final between the Belfast Giants and Cardiff Devils live, this was the first time Sky had shown a live game for several years. Sky Sports have recently announced plans to show 8 live games along with a weekly highlight show during the 2010–11 season. In season 2013–14 Premier Sports acquired the rights to film and broadcast 23 games from the Elite League with a live game shown every Saturday night from 23 November onwards. Of the national newspapers only the Daily Star has a regular ice hockey column which appears on Tuesday and Sunday. Coverage in the towns and cities where Elite League clubs are based is more extensive, and local newspapers have dedicated ice hockey reporters who cover the local team. Local radio stations such as BBC Coventry & Warwickshire, BBC Radio Nottingham and BBC Radio Sheffield all provide programming on the sport. Radio Sheffield also provides a weekly ice hockey programme Iceline while Radio Nottingham has broadcast a similar programme, Powerplay since the later stages of the 2005–06 season, and has a 15-minute weekly preview of games on a Saturday evening during the ice hockey season after the station's coverage of the local football teams is completed. BBC Coventry & Warwickshire have also followed suit with Faceoff, a programme broadcast on the first Thursday of the month during the season. Cardiff Devils are given weekly highlights coverage on local TV station, "Made in Cardiff", which is available on Freeview Ch23, Sky Guide Ch134 and Virgin Ch159. Most of the teams also provide webcasts on match nights. On the 6 December 2016 it was announced that a new TV show called "Facing Off" would be broadcast on a UK free-to-air channel called "Front Runner TV" every Thursday, Friday and Saturday to show the highlights of the week's EIHL games. The deal ran to the end of 2016/17 EIHL season. Then, on 20 July 2018, the EIHL agreed a two-year deal with FreeSports to broadcast one live EIHL game every two weeks, alongside a pre-season preview show, highlights package, and live coverage of the end of season play-off final. The coverage, which is available via Freeview (ch95), Sky (ch422), Virgin (ch553) FreeSat (ch252), TalkTalk (ch95), BT Vision (ch95) and online via the TVPlayer, will be fronted by Aaron Murphy who previously commentated on the league for Premier Sports. Previously, the EIHL champions were invited to play in the Continental Cup, Europe's 2nd level club competition. For the 2009–10 tournament, the EIHLs entrants entered the tournament in the penultimate (3rd) group stage. However, with the introduction of the Champions Hockey League, this has changed. From the 2015–16 season, the top 2 teams in the EIHL will participate in the CHL, with either the team who wins the post-season playoffs, or the team finishing third if the playoffs winner is one of the top two, entering the Continental Cup. During the 2012–13 NHL Lockout, several NHL players plied their trade in the Elite League, including; Matt Beleskey, Paul Bissonnette, Drew Miller, Tom Sestito and Anthony Stewart. The league has had a reputation for attracting ex-NHLers, including Dustin Kohn who played for the Sheffield Steelers, Kevin Westgarth who played for the Belfast Giants, Cam Janssen, formerly of the Nottingham Panthers, ex Braehead Clan captain Matt Keith and Stefan Della Rovere, Ryan O'Marra of the Coventry Blaze, and Brian McGrattan who played for the Nottingham Panthers. Elsewhere Jared Staal played for the Edinburgh Capitals while Patrick Bordeleau played a season with the Cardiff Devils. Recent ex NHLers in the league include Jay Rosehill, Jim Vandermeer, Pavel Vorobyev, Michael Garnett, Tim Wallace, Aaron Johnson, Dylan Olsen, Patrick Dwyer, and Chris Stewart. Meanwhile, in being drafted by the Arizona Coyotes in 2018, Sheffield Steelers forward Liam Kirk became the first ever English born and trained player and first British player to be drafted by an NHL side since Colin Shields in 2000. The main criticism levelled at the EIHL is that the league is too expensive, an accusation given credence by the collapse of the London Racers mid season in 2005, and the continued financial problems experienced by a number of other member clubs (most notably Basingstoke Bison and Manchester Phoenix in 2008–09). Both the Edinburgh Capitals and Newcastle Vipers made public statements about their potentially perilous financial situations, casting further doubt over both their own, and the league's sustained viability. This perceived problem with expenditure was given further credence when the Hull Stingrays announced on 11 August 2010 that they were ceasing operations immediately due to insufficient funds from sponsorship to guarantee completing the season. They were, however, taken over on 17 August 2010 by Coventry Blaze and therefore Hull Stingrays continued to operate. In 2011 the Newcastle Vipers announced that they would not be able to compete in the 2011–12 season due to financial difficulties and lack of a permanent home stadium. Newcastle had, up to this point, been playing their home games at Whitley Bay ice rink. A proposed new stadium in the Newcastle area did not materialise. Despite there being a limited number of suitable venues for league expansion, there have been various attempts during the EIHLs short lifespan to expand the league. After the successful addition of the Braehead Clan and the Dundee Stars for the 2010–11 season, the EIHL reported that it had entered discussions with the Fife Flyers formerly of the defunct BNL, and then resident in the SNL. On 24 June 2011, it was confirmed that the Fife Flyers had been admitted to the EIHL in time for the commencement of the 2011–12 season. Further to this, Neil Black, owner of the Nottingham Panthers and Glasgow Clan has expressed the desire to see a Manchester team back in the EIHL by 2015, along with teams in Dublin and London, subject to there being suitable venues available. On 29 March 2016, it was announced that Milton Keynes Lightning (playing in the second-tier English Premier League) would be joining the Elite League for the 2017–18 season. On Friday 24 February 2017 it was announced that Guildford Flames would make the step-up to the Elite League for the following season, thus expanding the league to twelve teams. ^ BBC (14 November 2002). "Eagles forced out". bbc.co.uk. Retrieved 2 July 2006. ^ a b BBC (31 May 2003). "Elite League "will go ahead"". BBC News. Retrieved 2 July 2006. ^ Sport Focus (2003). "Governing Body Decline to Affiliate Elite League". sportfocus.com. Retrieved 25 June 2006. ^ Nottingham Panthers (2003). "GMB Panthers and National Ice Centre Reach Agreement for 2003/4 Season". panthers.co.uk. Retrieved 2 July 2006. ^ BBC (10 September 2003). "Face-off for Elite ambitions". BBC News. Retrieved 2 July 2006. ^ Manchester Evening News (2004). "Phoenix place future in fans' hands". Manchester Online. Archived from the original on 25 May 2012. Retrieved 3 July 2006. ^ "Grand Slam triumph for Coventry". BBC. 10 April 2005. Retrieved 2 June 2007. ^ Nigel Duncan (2004). "Capitals eyeing their place among the elite". The Scotsman. Retrieved 3 July 2006. ^ Bolton Evening News (2005). "Leagues look set to merge at last". This is Lancashire. Archived from the original on 16 February 2006. Retrieved 3 July 2006. ^ "Sports Round-up". London: Daily Telegraph. 2005. Archived from the original on 18 November 2007. Retrieved 2 June 2007. ^ London Racers (2005). "Racers call 'time' on Lee Valley". londonracers.com. Archived from the original on 7 August 2017. Retrieved 25 June 2006. ^ Elite League (2006). "Stingrays addition brings Elite League to Ten". eliteleague.co.uk. Archived from the original on 27 September 2007. Retrieved 24 June 2006. ^ Elite League (2006). "Elite League Follows NHL Lead". eliteleague.co.uk. Archived from the original on 14 July 2006. Retrieved 2 July 2006. ^ Manchester Phoenix (2006). "bmibaby unveiled as first ever sponsor of Ice Hockey's Elite League". www.manchesterphoenix.co.uk. Archived from the original on 1 September 2006. Retrieved 25 August 2006. ^ Manchester Evening News (2009). "Phoenix to leave top tier". www.manchesterevening news.co.uk. Retrieved 14 June 2009. ^ a b "Stingrays owners confirm closure". BBC News. 11 August 2010. ^ a b "Hull Stingrays ice hockey team back in business after takeover". This is Hull & East Riding. Hull Daily Mail. 17 August 2010. Archived from the original on 20 August 2010. Retrieved 17 August 2010. ^ "Elite League ice hockey club Hull Stingrays placed in liquidation". Hull Daily Mail. Hull Daily Mail. 24 June 2015. Archived from the original on 24 June 2015. Retrieved 24 June 2015. ^ "THANK YOU FOR ALL YOUR SUPPORT". Hull Stingrays. Hull Stingrays. 24 June 2015. Archived from the original on 24 June 2015. Retrieved 24 June 2015. ^ Elite League (2007). "bmibaby Elite League confirm 2007/08 competitions". eliteleague.co.uk. Archived from the original on 27 September 2007. Retrieved 13 June 2007. ^ "Manchester Storm to replace Hull Stingrays in Elite Ice Hockey League". Hull Daily Mail. 24 June 2015. Archived from the original on 14 March 2016. Retrieved 28 October 2016. ^ "Aberdeen's puckish spirits pursue Lynx effect in Scottish ice hockey". News.stv.tv. Retrieved 2016-10-28. ^ a b "Ice hockey: Lions will return to Wembley". Daily Star. 2013-07-28. Retrieved 2016-10-28. ^ "Elite plans on hold for Telford Tigers « Shropshire Star". Shropshirestar.com. 2015-02-28. Retrieved 2016-10-28. ^ Newcastle Vipers (2006). "Wilson applauds import reduction". newcastlevipers.com. Archived from the original on 27 September 2007. Retrieved 25 June 2006. ^ O Kivinen; J Mesikämmen; T Metsä-Tokila (2001). "A Case Study in Cultural Diffusion: British Ice Hockey and American Influences in Europe". Sport in Society. 4 (1): 49–62. doi:10.1080/713999809. Retrieved 2 June 2007. ^ Robert Galster (5 March 2005). "The puck stops here for NHL stars". London: The Times. Retrieved 25 June 2006. ^ BBC (20 November 2001). "Ice hockey TV deal collapses". BBC News. Retrieved 2 July 2006. ^ Elite League (2007). "EIHL announce Sky deal". Archived from the original on 10 June 2007. Retrieved 10 September 2007. ^ "Attendance 2016–2017". Iihf.com. 2016-03-11. Retrieved 2016-10-28. ^ "2010 Preliminary". Iihf.com. Retrieved 2016-10-28. ^ "Two EIHL teams for the Champions Hockey League". Eliteleague.co.uk. Archived from the original on 2 April 2015. ^ "Edinburgh Capitals". Edinburgh Capitals. Retrieved 2016-10-28. ^ "Flyers turn down Elite ice hockey". Fife Today. 2011-03-31. Retrieved 2016-10-28. ^ "Flyers place in the Elite League confirmed". Fife Today. 2011-06-24. Retrieved 2016-10-28. ^ "British ice hockey Elite League: Nottingham Panthers' Neil Black on the future | Nottingham Post". Thisisnottingham.co.uk. 30 April 2010. Archived from the original on 12 July 2010. Retrieved 28 October 2016. ^ "EIHL set for Wembley franchise?". Eurohockey.com. 2013-07-25. Retrieved 2016-10-28. ^ "Flames Move to Elite League". GuildfordFlames.com. Retrieved 24 February 2017. ^ "Record Crowd Watches Steelers Panthers | Eihl". Eliteleague.co.uk. Archived from the original on 29 May 2016. Retrieved 28 October 2016.